Applications, User Interfaces, and Websites. We've been building web applications since 2003 and it's what we do best. Industries we've developed applications for include biotechnology, renewable energy, healthcare, automotive, recruiting, and security. If you have an idea or a problem that needs solved we'd love to talk. We've found that many applications have been spawned by working with clients and optimizing their workflows. Amazon EC2, Rackspace, Digital Ocean, your office, warehouse, studio apartment, or on a Rasberry Pi... it doesn't matter. 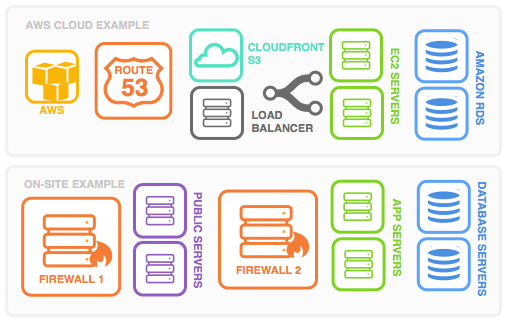 Deploying applications to the "cloud" is rather straightforward but many companies need applications hosted locally (intranet). An example of this would be a public facing application in a DMZ on a private backend network. We can devlop your application, build out the boxes, and configure your network and firewalls. We've worked with many amazing companies and products. We use the same methodologies to build your website that we do in developing great applications. We've even developed Stackable CMS, our content management system. It's 2015, so if you're building a website that's not mobile-friendly, stop immediatley and call us. Actually... stop immediatley and call us anyhow. Validated coding, quality content, blazing fast page page speeds, etc. We make it easy for search engines to index your site and you reap the benefits. I would love to build the next application that optimizes the way you do business. By the way, my name is Steven Carmo. I'm a Full-Stack Application Developer and have been doing this for the past 14 years. I'm looking to become involved in a company that's looking to build great applications (contract and/or full-time). The quickest way to contact me is to complete the information request. I'll reply to your request today. Copyright © 2015 Intrenix LLC.